This is the perfect salad for using up leftovers! And it’s easily adjusted to your tastes. 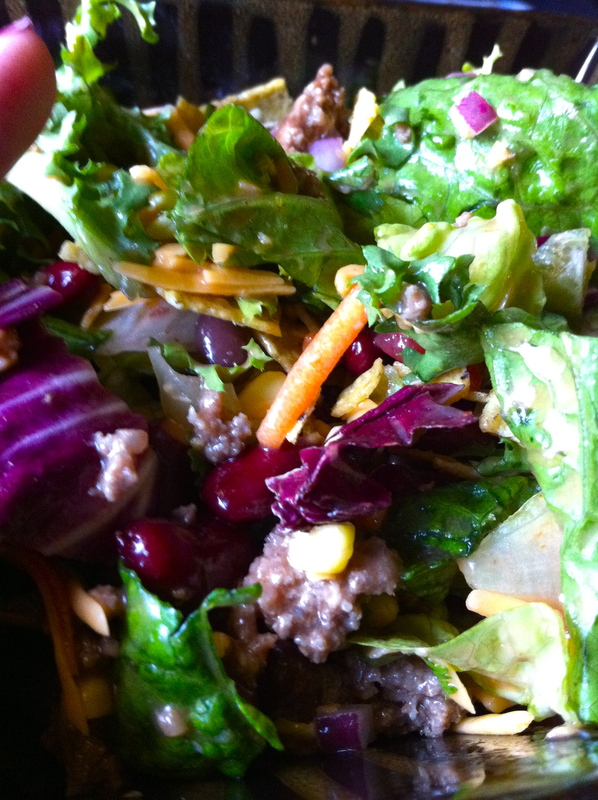 If you like your salad meatier, by all means, add more hamburger meat. If you like more cheese or dressing or any of the other ingredients, then add them!! Dump all ingredients into a large bowl and mix well, making sure the dressing covers all the salad. Top with crushed chips. Wish my kids liked salad. I’d get to eat a WHOLE lot more taco salad.